Pregnancy is something that can really wear off a woman and after nine months, every woman will just want it to end and deliver the baby. The labor can be induced by several medicines, methods and remedies, but they are associated with certain risks. Labor acupressure is one of the natural ways of inducing the labor. This is a risk free and very popular method of labor inducing. Once a woman passes her due date, there are some methods she can use to induce labor and one is a natural labor acupressure. With this method, a woman can also decrease the pain caused by the labor. During this method the pressure is not applied with the help from needles like in standard acupressure but with thumbs and fingers, although the points of the stimulation remain the same. Since this is a method which uses only thumbs and fingers, you can even practice this method at your home if you know the position of the stimulation points. As we have said, the pain induced by labor can be reduced during the labor by the male partner with the use of pressure points. The pain reduction and labor inducement are the two most important and effective properties of the labor acupressure method. Labor acupressure has several pressure points such as "big and high", "shoulder well", "Adjoining Valley" and others. The large intestinal Meridian can be stimulated by applying the pressure on the forefinger and the thumb. This pressure point is called adjoining valley and the region where the pressure is applied is called webbing, and it needs a firm pressure to be applied. You can apply pressure on this location during the labor as well. Next acupressure point is called shoulder well and it is very effective during the labor. You will need to apply pressure at a location on your shoulder, which you can find by placing your four fingers on the shoulder joint and the location will be at the end of the fingers in the direction of your neck. This tender area will provide relief during pregnancy. The location above the heel is called big and high, and application of pressure on this location is very effective. There were many studies conducted on the effectiveness of this natural way of inducing the labor, and one study done in 2005 showed that women who underwent labor acupressure method went to labor more quickly than the other group, which had no labor acupressure treatment. Both of these groups consisted of women over their due date. There are medications that are used for the reduction of pain during the delivery, but natural ways of accomplishing this are becoming more popular. One of such is the labor acupressure due to the endorphins released by application of the pressure on specific locations. The endorphins give the woman a happy feeling and it is a natural painkiller. 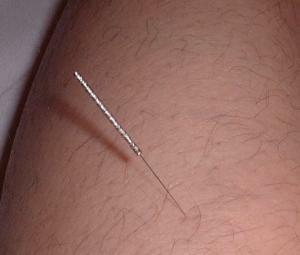 The pain can be significantly reduced by using one acupressure point.